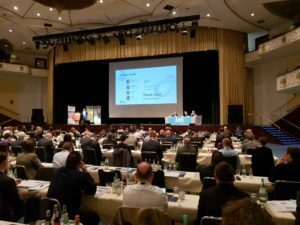 10 April 2019: European Plasticisers attended this year’s PVC Formulation Conference that took place in Cologne between the 1st and 3rd of April. 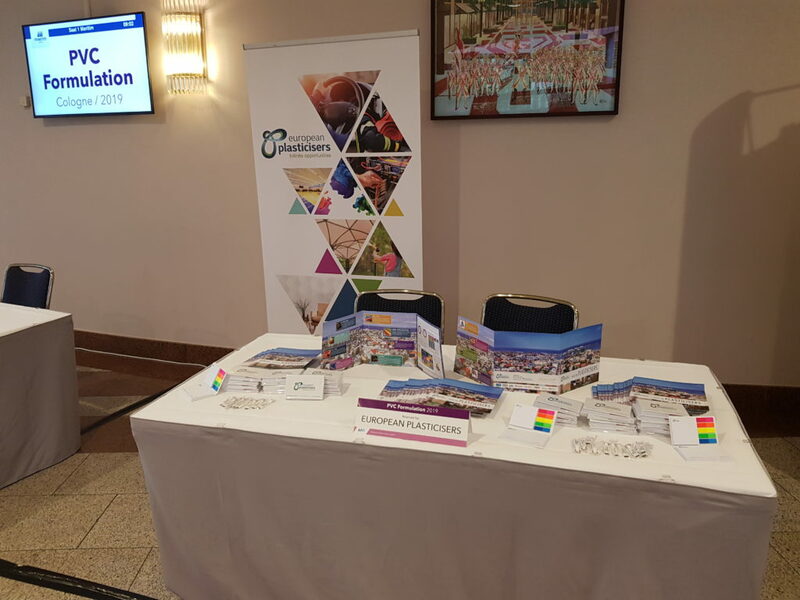 As conference partners we contributed to the thematic session on recent developments in plasticisers and exchanged views on the current regulatory environment at our exhibition booth. 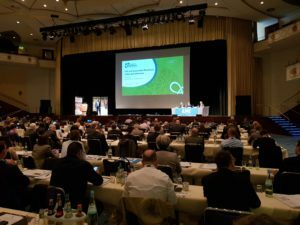 Over the two days, experts from across Europe discussed global market trends influencing the PVC supply chain, the changing legislation affecting the PVC industry and industry-driven sustainability and explored the latest innovative formulations and applications that are driving industry growth. European Plasticisers’ Technical Manager, Perry Walters, presented the key challenges and developments industry is facing from a regulatory and scientific standpoint, where he explained the importance of taking into consideration robust weight of evidence when making regulatory decisions and the continuous efforts industry is making in research. “The red thread across all sessions was the importance of innovation, sustainability and robust scientific research to ensure that industry continues to provide safe and reliable solutions to applications that are essential to our everyday lives. The market is evolving and so are we, and through this event we were not only able to showcase and share our expertise, but also learn from other high-level experts in the field.”, explained Perry Walters.